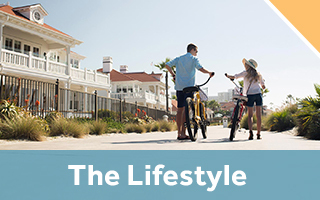 Nestled in the sparkling golden sand of Coronado beach at the iconic Hotel Del Coronado, Beach Village at The Del offers luxury beachfront accommodations and highly personalized service. Owning a part of the Beach Village is truly a once-in-a-lifetime opportunity to experience one of the most unique lifestyles Coronado has to offer with nothing but the sand between you and the ocean’s edge.As an owner at Beach Village, you and your family can enjoy up to 90 days per year of beachfront luxury (25 days in a 50-day period), while sharing in the rental revenue the rest of the year. 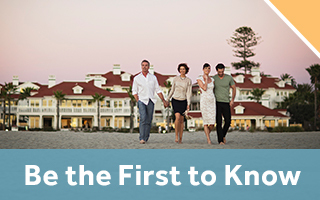 While you are away, the Hotel Del Coronado manages all aspects of renting out your cottage or villa - from marketing and reservations to accommodations, maintenance, and repairs. 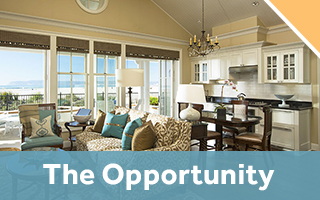 Pick the days you plan on staying and simply enjoy your share of the rental income the remaining days. Beach Village At The Del Bldg.